Selected Villas for rent near La Spiagga (Mauritius) - Contact us now! 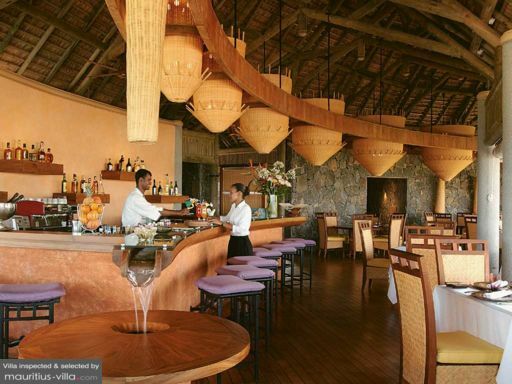 This restaurant is set on a wooden deck with outstanding views of the ocean exuding a real tropical charm. Start with an exquisite glass of champagne and delight in a variety of creative preparations from the Mediterranean Sea while listening to the lapping of the Indian Ocean.